Even if you keep a watchful eye on your roof for any signs of damage, some work isn’t possible during the cold and snowy season. That’s why it’s important to take advantage of good weather while it’s around. Summer is perfect for more than just vacations; it’s also the best time for roof replacement and repairs. If you think your home needs a new roof, here’s why it’s best to schedule work in the summer. Fall: The weather of fall is typically temperate, but the season faces another problem when it comes to roofing work—high demand. Many homeowners are looking to have repairs and replacements finished before winter rolls around, making it difficult to book a contractor. Winter: The frigid winter weather introduces several issues that hinder efficient work. 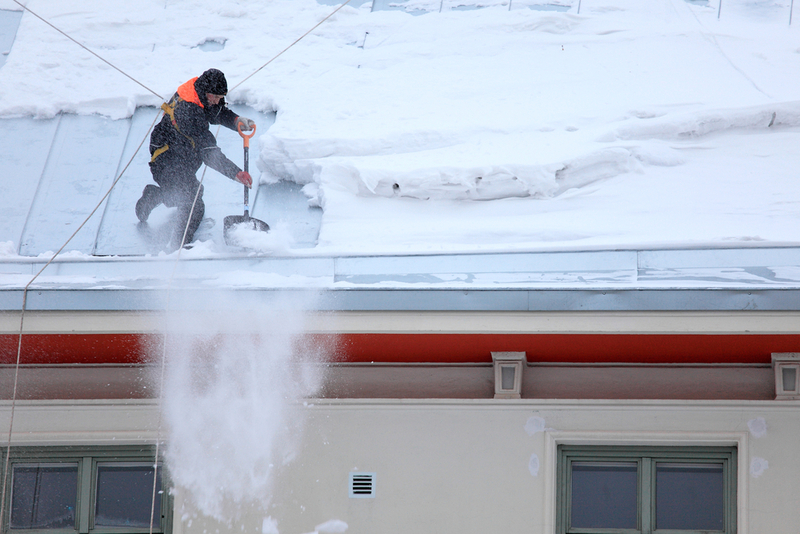 Snow and ice can make it difficult and dangerous for workers to remain on a roof. The freezing temperatures also harden shingles and other materials, making them more likely to crack when they’re applied to a roof. Spring: Coming out of a long and cold winter, spring might seem like the ideal season for roof work. While the weather can be nice, it’s also wildly unpredictable. Workers could face cold temperatures one day and severe storms the next. This makes finishing the project in a timely manner difficult and usually leads to considerable delays. Scheduling a roof replacement during the summer pays off in more ways than one. Even though the temperatures can be hot, the weather is usually fairly tame, workable, and consistent during the beginning and end of the season. This makes getting a replacement finished without any interruptions or delays much more likely. Demand for roofing work during the summer is also typically at a low. This opens up the schedules of contractors and allows you to secure work as soon as possible. Once your replacement is complete, you’ll be confident your roof can handle any season. If your home needs a roof replacement, Ray St. Clair Roofing can get the job done. As a family-owned and -operated business in Cincinnati, OH, for more than 60 years, they take pride in their customer service. Whether you need gutter installation, window maintenance, or roof repairs, the experienced technicians hold their work to the highest standards. Visit their website for a full list of services, or call (513) 874-1234 to speak with a friendly representative.